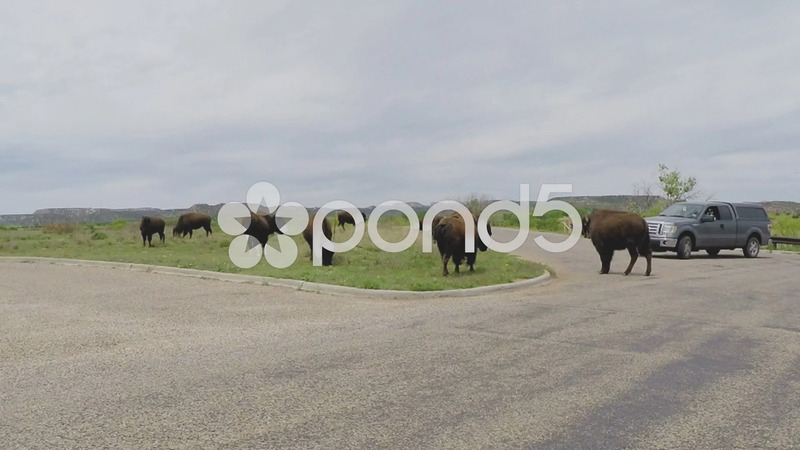 Description: Shot of a tourist car looking at a buffalo herd at Caprock Canyoun State Park in Texas. An SUV is stuck and trapped by a group of big wild animals in a parking lot area. Part of a series of clips by ChromaVid featuring nature and wildlife stock video.